My favorite camera has been repaired and returned to me, oh happy day! In celebration I took pictures of scissors. Look at these little cuties. 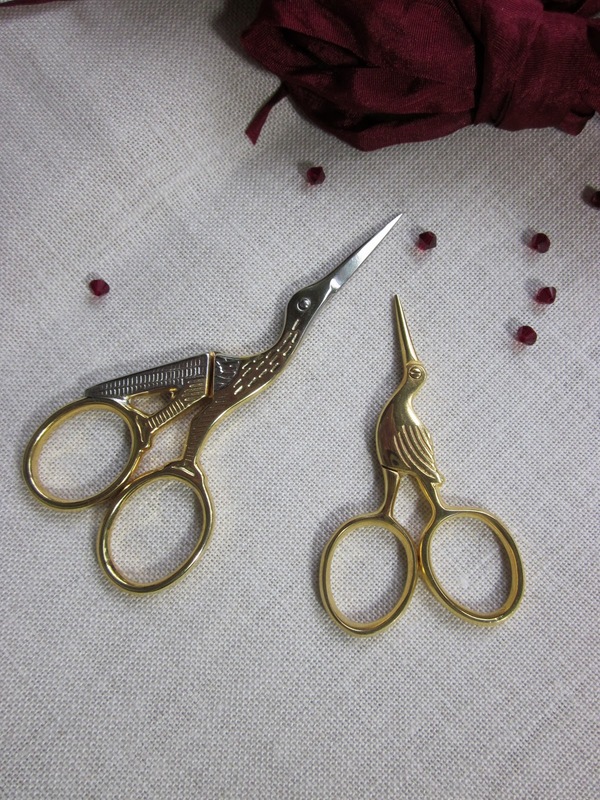 New little "Storklette" scissors in gold by Kelmscott. 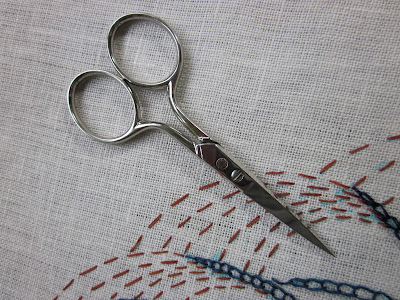 Shown with a 3.5-inch standard size pair of stork scissors for comparison. These little guys are so cute, and that's what they are made for. The little blades are not really for cutting. 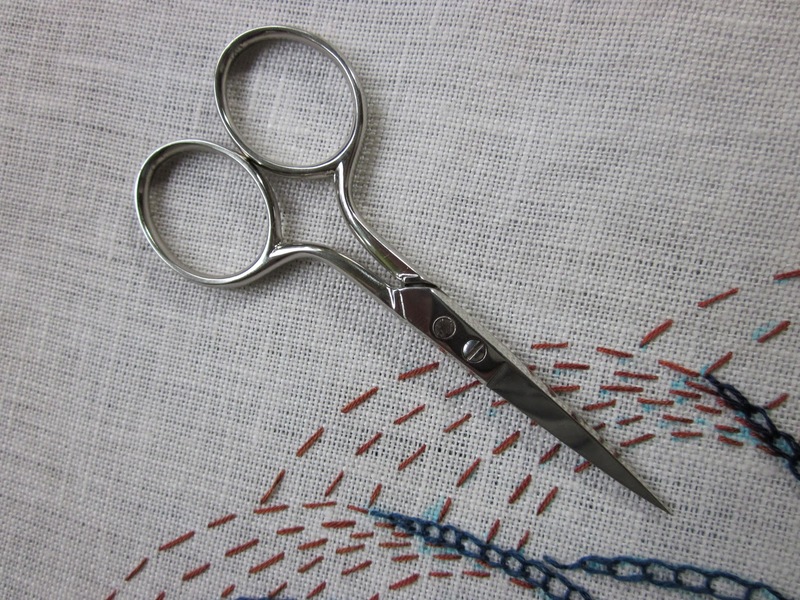 And the simplest, plainest pair of Dovo scissors you'll ever see.